Home to Michael Jordan’s Steakhouse, Toby Keith’s I Love This Bar & Grill, and Ditka’s, the Chicago area is a hub for celebrities looking to cash in on their names by opening restaurants. Next year it’ll be getting another star-powered spot with the opening of the Pac-Man-inspired Level 257. A nod to the 256 levels in the original arcade game, the 40,000-square foot venue will host a cocktail lounge, 16 bowling lanes, and private party space for 300. 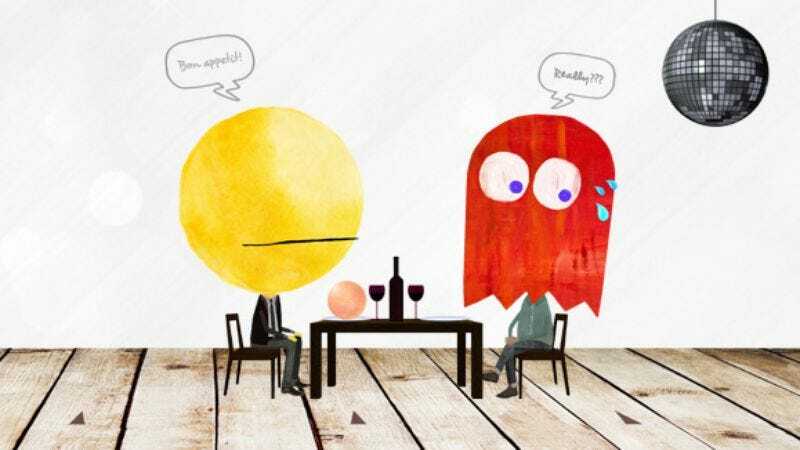 The central restaurant will serve “fresh and innovative dishes prepared by chefs,” which we assume will be entirely made out of fruit, pellets, and the occasional ghost. The space also includes a “game parlor” (because “arcades” are dead) equipped with Namco’s smattering of current arcade games alongside classics set in both their original cabinets and cocktail tables, as well as some free-to-play traditional board games. Milton Bradley’s Pac-Man adaptation seems like a given. According to marketing manager Natalie Couzens, “Level 257 will not be Pac-Man themed. Instead, there will be many subtle hints of him around the venue. But much like the Mickey Mouse ears hidden around Disneyland, they will be there for our guests to discover.” However, the venue will have a gallery featuring artwork showing “Pac-Man as a global pop icon” and a Pac-Man retail shop, so clearly some will be more obvious than others.